Anthony Papa, manager of media relations for the Drug Policy Alliance, will exhibit his art in a show titled Walls Turned Sideways: Artists Confront the Justice System at the Contemporary Arts Museum in Houston Texas. The show, curated by Risa Puleo, features work by 40 artists from across the nation addressing mass incarceration and the criminal justice system. The opening reception is on Friday, August 24, and the work can be viewed until January 6 (see details below). Papa is an artist, writer, and noted advocate against the war on drugs. He was sentenced to 15-years-to-life for a first time nonviolent offense in 1985 under the Rockefeller Drug Laws of New York State. These types of draconian mandatory minimum sentencing policies are once again being debated as Attorney General Jeff Sessions tries to bring them back along other failed drug war tactics. The Whitney show generated tremendous publicity and eventually led to Governor George Pataki granting Papa executive clemency in 1996. In the following years, Papa’s art appeared in galleries across the country and his advocacy and stinging opinion pieces about the drug war have helped change laws. On New Years’ Eve, 2016, he received a pardon from Gov. Andrew Cuomo, making him the first person in New York State history to receive both clemency and a pardon. Papa is also the author of the memoir 15 to Life: How I Painted My Way to Freedom (2004), as well as This Side of Freedom: Life After Clemency, about his 20 years of freedom after incarceration. Walls Turned Sideways features work by artists from across the nation that addresses the criminal justice system, mass incarceration, and the prison-industrial complex. Representing the full range of contemporary art production made in the studio and the social realm, the exhibition includes artworks that take social justice issues as a subject matter, and positions the prison and court systems as structures for dismantling through institutional critique. The artworks in the exhibition are extraordinary for the scale and ambition by which they mobilize in order to bring visibility to offenses within the justice system. The justice system in the United States is complex; as a result, artists tend to tackle one component at a time. Walls Turned Sideways utilizes the work of artists to construct a dynamic and nuanced portrait of the prison-industrial complex in the United States according to how people move through the criminal justice system. The conditions of being profiled as a criminal makes one more susceptible to arrest. Once arrested, one moves through a set of procedures related to due process, including the courtroom and trial, and onwards toward incarceration. After incarceration there are three potential ways one can exit the physical structure of the prison: a life sentence that guarantees death inside the institution, the death penalty, or the possibility of reentry into society. Risa Puleo is the Guest Curator at the Contemporary Arts Museum Houston, Texas. In 2017, Puleo was the Curator-in-Residence at Bemis Center for Contemporary Arts in Omaha, Nebraska where she curated the exhibition Monarchs: Brown and Native Artists in the Path of the Butterfly. She is currently working on exhibitions that will be presented at the Contemporary Arts Museum Houston; Bemis Center for Contemporary Arts; Charlotte Street Foundation, Kansas City, Missouri; ArtPace, San Antonio, Texas; Franklin Street Works, Stamford, Connecticut; and the Leslie-Lohman Museum in New York, New York. Puleo holds Master’s degrees from the Center for Curatorial Studies at Bard College and Hunter College’s Art History program (both New York, New York), and is a student in the Art History doctoral program at Northwestern University, Chicago, Illinois. She has written for Art in America, Art Papers, Art 21, Asia Art Pacific, Hyperallergic, Modern Painters and other art publications. CAMH will produce a significant catalogue to accompany Walls Turned Sideways: Artists Confront the Justice System. The catalogue is being published by the Miami-based non-profit [NAME] Publications, under the editorial direction of Natalia Zuluaga, Lucie Steinberg, and Gean Moreno. The publication includes a forward by CAMH Director Bill Arning, essays by curator Risa Puleo, theorist Che Gossett, and other contributions by Elizabeth Alexander; Jimmy Baca; Evan Bissell; Andy Campbell; Chicago Torture Justice Memorial; Melanie Crean, Shaun Leonardo and Sable Elyse Smith; Laurie Jo Reynolds and Stephen Eisenman; Nicole Fleetwood; Michel Foucault and others in conversation; Sam Gould; Unique Holland; Ben Jones; David Joselit; Theodore Kerr; Chaédria LaBouvier; Suzanne Lacy; Roger Lancaster; Shaun Leonardo; K.Tsianina Lomawaima; Shoshana Magnet; Sarah Ross and Erica R. Meiners; Gean Moreno; Robert Morris; Robert Nelson; Isamu Noguchi; Otabenga Jones & Associates; Anthony Papa; Cameron Rowland; Jared Sexton; Rashad Shabazz; Shawn Michelle Smith; Daniel Tucker and Rosten Woo; and Rebecca Zorach. Artists’ projects in the exhibition and social realm will be documented with full-color images and interpretive essays and include the artists’ voices in interviews and statements. The overall scope and comprehensive material featured in the accompanying catalogue promises to serve as a lasting scholarly document for the exhibition. Publication design is being completed by Stacy Asher and Aaron Sutherlen, who are faculty in the School of Art, Art History & Design at the University of Nebraska-Lincoln. Walls Turned Sideways: Artists Confront the Justice System is made possible in part by a major grant from the National Endowment for the Arts. The catalogue accompanying this exhibition is made possible by a grant from The Brown Foundation, Inc. of Houston and a grant from the Elizabeth Firestone Graham Foundation. Walls Turned Sideways is organized by Guest Curator Risa Puleo. A break down of the reforms that were signed into law in April of 2009 by Gov. Paterson. Rockefeller Drug Laws. 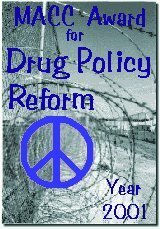 The changes include: eliminating mandatory minimums and returning judicial discretion in most (but not all) drug cases; reforming sentences; expanding drug treatment and alternatives to incarceration; and allowing resentencing of some currently incarcerated people who are serving sentences under the old laws. With these reforms, New York begins its shift away from the Rockefeller Drug Law regime, and moves towards a public health and safety approach to drug policy. Prison terms are no longer mandatory for those convicted of first time non-violent Class B, C, D and E felonies. Judges can sentence to probation, treatment or other alternatives to incarceration, or prison. Prison terms are no longer mandatory for those convicted of second time non-violent Class C, D, and E felonies. Judges can sentence to probation, treatment or other alternatives to incarceration, or prison. Prison terms are no longer mandatory for those convicted of second time non-violent Class B felonies who are deemed by a drug treatment counselor as being drug dependent or have abused drugs or alcohol. Judges can sentence to treatment or other alternatives to incarceration, or prison. Mandatory prison terms are still required for second-time Class B felonies if defendant was convicted of, or had pending, a violent felony in the previous 10 years. In this case there is no judicial discretion. Mandatory prison sentences remain for those convicted of Class A-I and A-II felonies—there is no judicial discretion. Penalties for these offenses were reduced in 2004/2005, but remain unduly harsh. Expands drug treatment, alternatives to incarceration, and re-entry services by investing nearly $71 million into those programs. Allows the court to conditionally seal records of drug and some non-drug, nonviolent offenses upon a defendant’s successful completion of treatment or other alternative to incarceration programs. Police and prosecutors will continue to have access to these records as needed for criminal investigations. Reduces the minimum penalty for Class B felonies from 3 ½ years to 2 years. Allows those convicted of a Class B felony before 2005, now serving an indeterminate sentence with a maximum term of more than 3 years, to petition the court to be re-sentenced under new sentencing provisions. Judges then make a decision on re-sentencing—it is not automatic. Allows those sentenced under Class B indeterminate sentences to petition the court for re-sentencing for Class C, D or E felonies "which were imposed by the sentencing court at the same time or were included in the same order of commitment" as the Class B felony. Excludes from resentencing those serving Class B indeterminate sentences if they have a violent felony conviction in the preceding 10 years; are incarcerated for a merit-time ineligible offense; were convicted as a "second violent felony offender" or "persistent violent felony offender"; or previously sold narcotics to a minor. Establishes a "kingpin" provision as a Class A-I felony requiring a mandatory term of imprisonment of 15 years to life. Restoring a 15 – life sentence, which was initially eliminated in 2004, is a step in the wrong direction. Establishes a new mandatory minimum Class B felony provision for adults 21 and over that sell to minors under 17 years of age. Using prison to address drug abuse: The Rockefeller Drug Laws, enacted in 1973 under then-Governor Nelson Rockefeller, mandated extremely harsh mandatory-minimum prison terms for the possession or sale of relatively small amounts of drugs. Supposedly intended to target major dealers (kingpins), most of the people incarcerated under these laws were convicted of low-level, nonviolent offenses, and many had no prior criminal records. The laws marked an unprecedented shift towards addressing drug abuse through the criminal justice system instead of the medical and public health systems. It was a shift that New Yorkers would soon discover didn’t work and come to regret. Waste of taxpayer dollars: Approximately 12,000 people remain locked up for drug offenses in New York State prisons, representing nearly 21% of the prison population. The state spends over $525 million per year to incarcerate people for drug offenses – 66% have previously never been to prison, and 80% have never been convicted of a violent felony. It costs approximately $45,000 to incarcerate a person for one year, while treatment costs average $15,000 per year, and is proven to be 15 times more effective at reducing crime and recidivism. Extreme racial disparities: The laws have led to extraordinary racial disparities in the state’s criminal justice system. Studies show that rates of addiction, illicit drug use and illicit drug sales are approximately equal between racial groups. But while Black and Latino people make up only 32% of New York State’s population, they comprise nearly 90% of those currently incarcerated for drug felonies. This is one of the highest levels of racial disparities in the nation, and is widely considered a human rights disgrace. Limited changes in 2004 and 2005: After years of vigorous advocacy, in December 2004 the NY State Legislature passed limited reforms of the laws, including some sentence reductions, increases in merit time, and improvements to parole. These reforms were a small step forward, but did not constitute real reform—for instance, the changes did not restore judicial discretion or provide funds for community-based drug treatment. As then-Republican Senate Leader Joseph Bruno admitted: "This is only a small step, and we need to do more." With the enactment of the Rockefeller Drug Law Reform, there are numerous changes in the laws regarding sentencing. Below is a new sentencing chart for drug offenses. Use the following list to directly access information on a specific class felony. 1Requires recommendation of DA and material assistance in prosecution of drug offense. 3Cannot have previously served time in state prison. Cannot be convicted for any offense listed in Correction Law §865(1). Only if within 3 years to conditional release.